NBC 5 Investigates has learned the United States Army plans to launch another review of the Fort Hood shooting to see if it was an act of “international terrorism. “ The result of that review could have a big impact on the victims who’ve been denied Purple Heart medals and the financial benefits that come with them. In a letter dated Nov. 1 to South Carolina Congressman Joe Wilson, U.S. Army Secretary John McHugh said, “the intelligence community considers Major Hasan to be a 'homegrown violent extremist' - a person who may engage in ideologically - motivated terrorist activities …"
Shawn Manning was shot six times by Maj. Nidal Hasan, the Army psychiatrist who’s been sentenced to death for gunning down 32 people and killing 13 at Fort Hood in 2009. Still, the secretary said Hasan's victims are not entitled to Purple Hearts because the Department of Defense has not been able to establish Hasan was acting at the direction of a foreign terrorist organization. “They're mixing words a little bit, but [I] guess it's better than them saying that this was just a mere act of workplace violence or trying to play this down,” said Manning. In terrorism cases, Purple Hearts can only be given to soldiers wounded or killed as the result of an international terrorist attack. 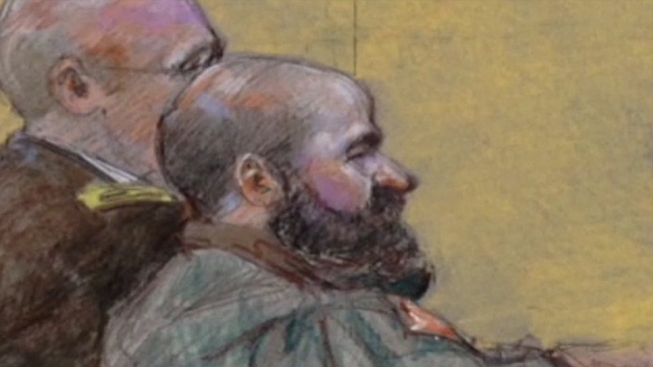 Manning and other victims believe Hasan's communications with Al-Qaeda leader Anwar-al-Awlaki, who was in Yemen before the attack, should be enough to prove an international connection. Former Marine Corps prosecutor Colby Vokey believes the Army should simply give the victims benefits similar to those given to Purple Heart recipients. ‘We're talking about a very small, identifiable group of people that were hurt in this attack. Why don't we just step up right now and take care of them,” said Volkey. Congress could also step in and award Purple Hearts and currently legislation is under consideration to make that happen. Meanwhile the Army secretary's letter said he has now "directed staff to conduct a thorough review of the records of trial in the court martial of Major Hasan," to see if the trial revealed new evidence establish a link to international terrorism. For now, Shawn Manning and other victims continue to hope the Army will help Hasan's victims the way they helped victims of other attacks overseas. “He took a lot of courageous men and women away from their families, ruined a lot of lives, for what?” said Manning. McHugh turned down an interview request.